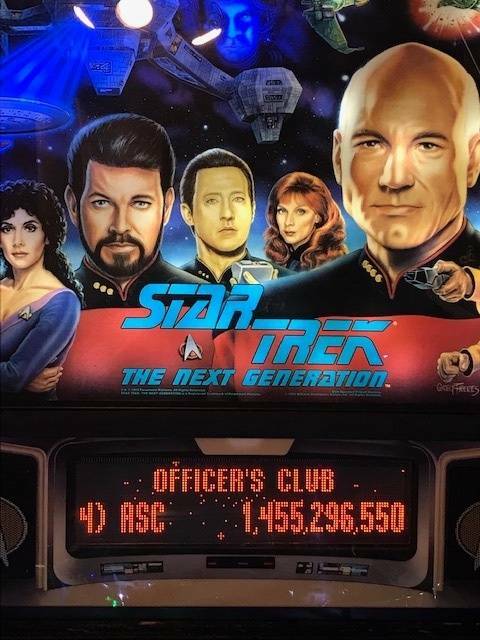 There are 4200 posts in this topic. You are on page 39 of 84. This helps a bunch to cut down on the cost with the USD to Canadian and border frees. Border frees? That doesn't sound very expensive. 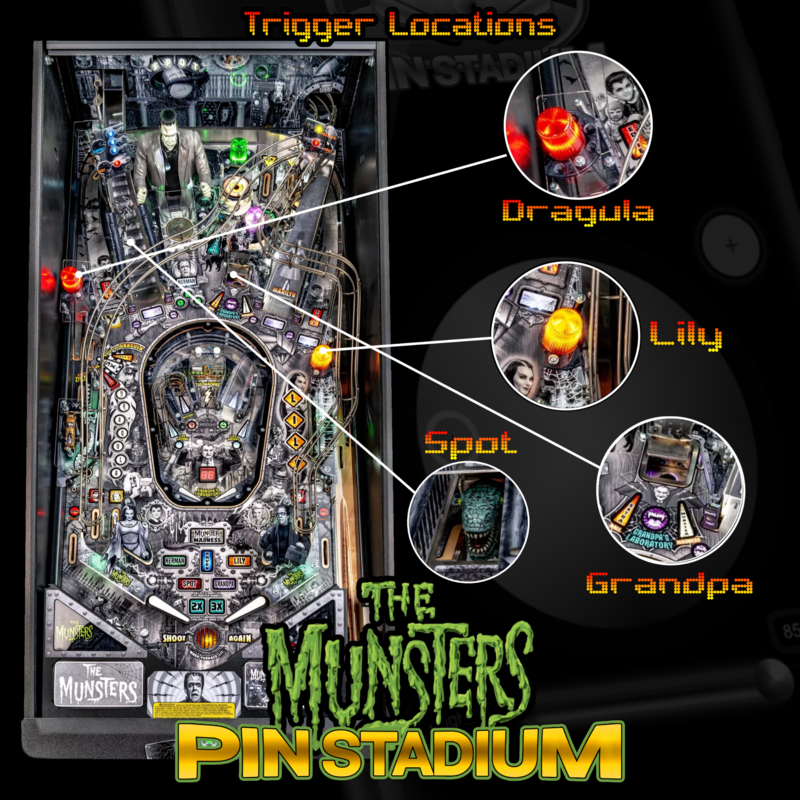 Great new feature added for Pin Stadiums!! The Magna-Mount system is more low profile to provide even more clearance for your machine!! I found that JJP cabinets, older games, and some mirror blades, mirror blades+art, or the Illuminated PinGraffix ones made for a snug fit. 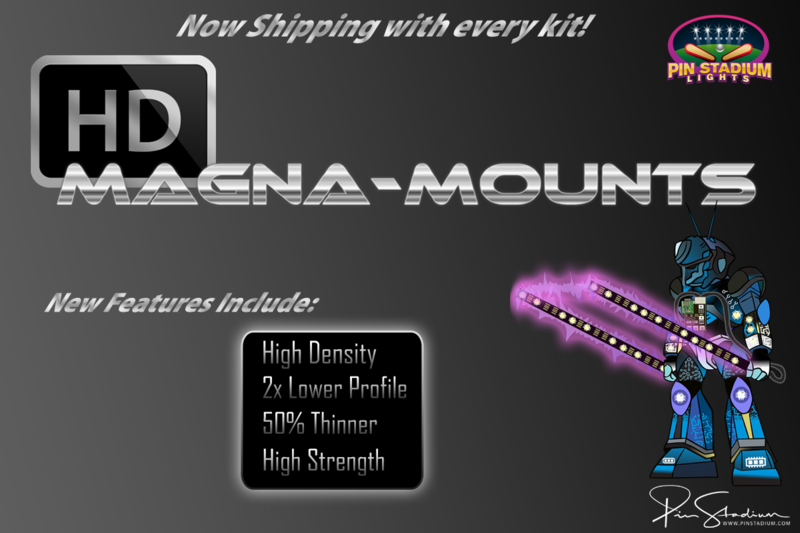 Well, sure enough I redesigned these and the HD (High Density) Magna-Mounts are super lower profile, literally 1/2 the thickness and still have the high strength needed to keep you in action! The manufacturing cost for these is much higher but the quality and results are amazing. Even better is they are included free as a standard with every Pin Stadium ordered going forward! 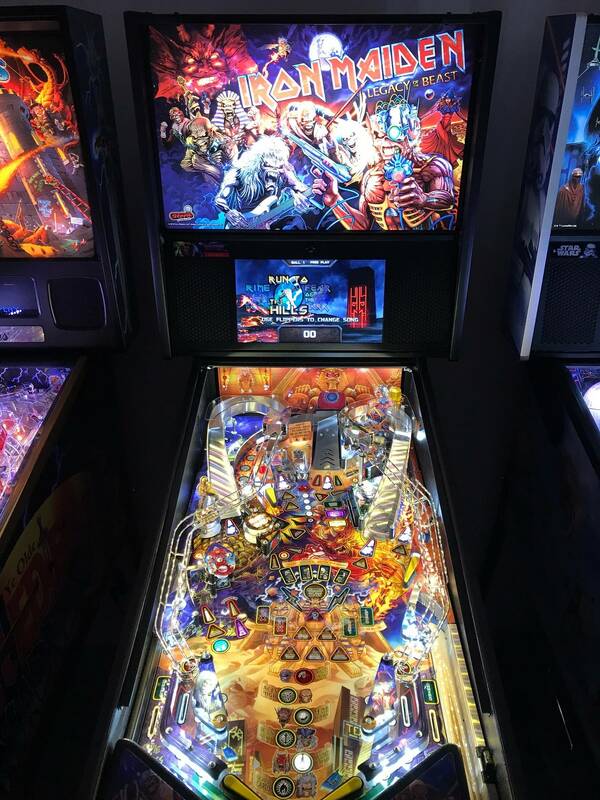 First Iron Maiden LE Pin Stadium set just shipped out to a lucky customer today!! 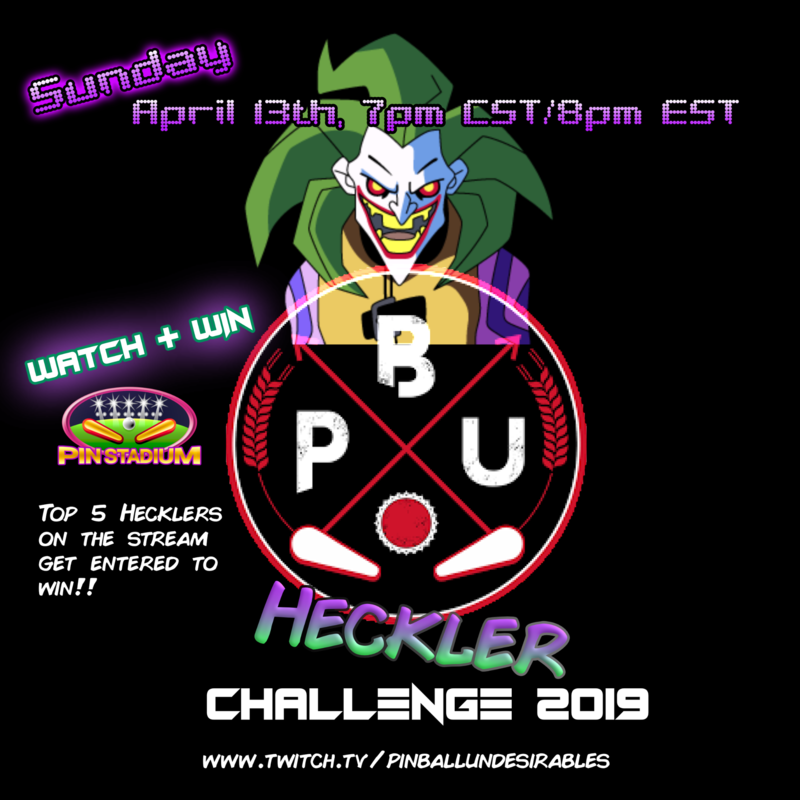 Should be very awesome. Congrats to this lucky owner. Nice, I still haven't received my order that was placed at TPF. I'm glad at least others are getting theirs. Pictures or it didn't happen, or something like that. It should have been shipped a while ago. I responded to your posted a couple weeks back also asking for your order number but had not heard back. I can't identify you by your Pinsider ID. Email me at scott@pinstadium.com with your order number so we can track it down. You can also email info@pinstadium.com if for some reason your email is not sending to the other or it's getting flagged. Thanks!!! I did some digging on your username and came up with nothing, but I found shipments in Allen, TX and emailed your order details. It has shipped already. You should have it any moment. Thanks!! They are all now shipping with them as of this week, so it’s already happening and some should have them. The Magna-Mount is literally almost flush with the cabinet now. Zespy at Logan’s Arcade tested them out on several older machines like Mousin Around, Taxi, etc and they worked like a champ. Those games previously were so snug with very tight clearances on the cabinet. Not any more! So even the new Pin Graffix illuminated Powerblades will work too. There were some mirror blades that were very thick and it made for tighter clearances also. Even for normal games they fit on with a decent amount of room it’s like they aren’t even there. I hope you all enjoy them!! Still no delivery of order....Ugh. Today is April 18th. I have not seen a confirmation email that is out for delivery. Are these still delayed? My order number is 14316. 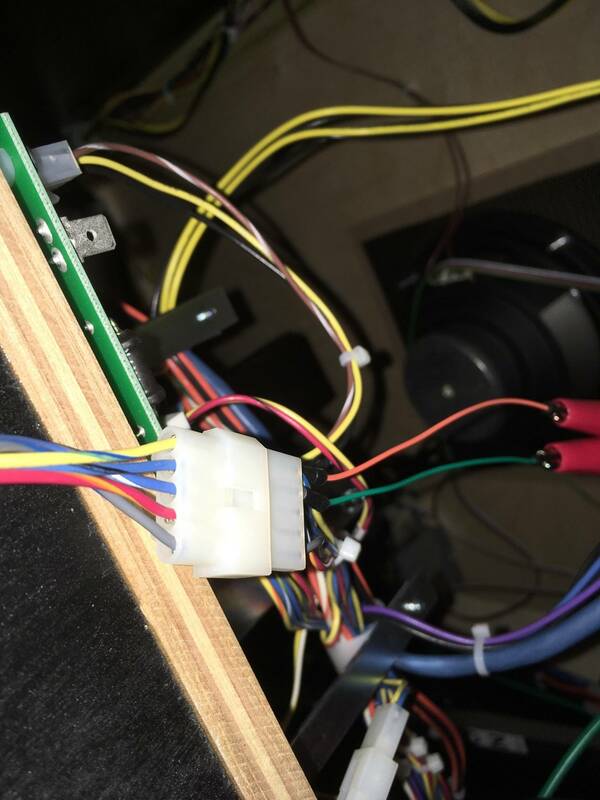 I checked and you have a WOZ kit, it is ready to ship but I am making specific adapters for them now to make it even easier to connect. These will ship out Monday or Tuesday when I have the connectors finished. Thank you for being patient and believe me it will be worth the wait. For specific order questions email me at scott@pinstadium.com so I can communicate faster and directly with you. Glad to help!! It should have been shipped a while ago. I responded to your posted a couple weeks back also asking for your order number but had not heard back. I can't identify you by your Pinsider ID. Email me at scott@pinstadium.com with your order number so we can track it down. You can also email info@pinstadium.com if for some reason your email is not sending to the other or it's getting flagged. I'm not sure what you are talking about. We had a discussion in this very thread. I also have emails between us. Communication has been fine, it's just no product has been delivered. I'll wait longer. Okay sorry just wanting to make sure you received all of the communication no problem then it is all good then. I just thought maybe you didn’t get the messages since you posted here. Email is best for order so specific questions (scott@pinstadium.com) . 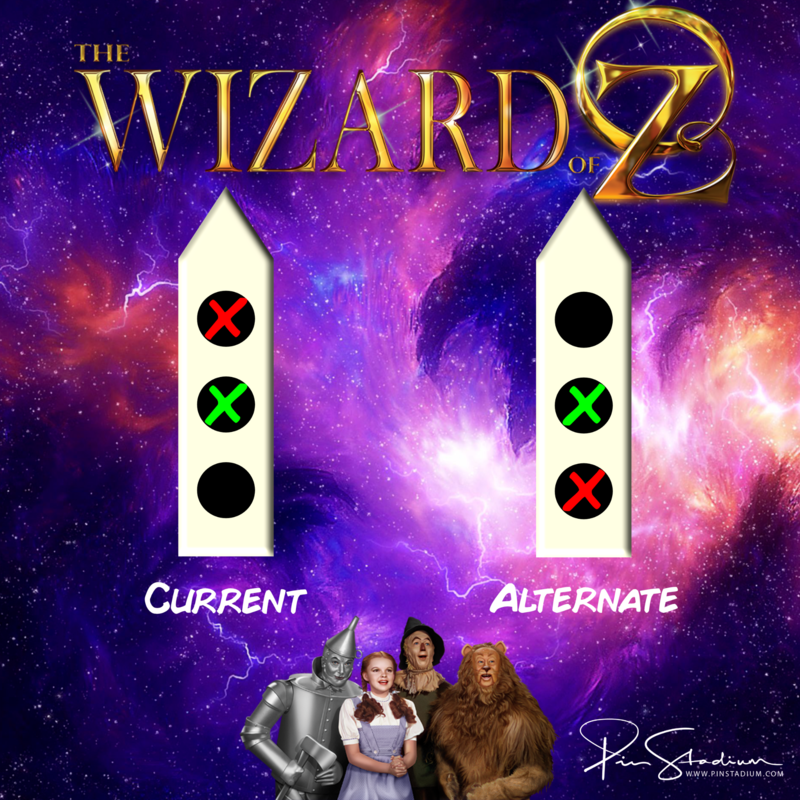 Yes, all of the new WOZ kit adapters (in stock now) were what took so long as I wanted you to have those even though you could install without it, it just makes the install so much easier trust me. I PM'd you the tracking number also thanks. If you have any questions with the install and need help shoot me an email and I will be glad to help you! Anyone installed these on a Data East Star Wars yet? The HD Magna-Mounts will be superb for the Data East cabinets! 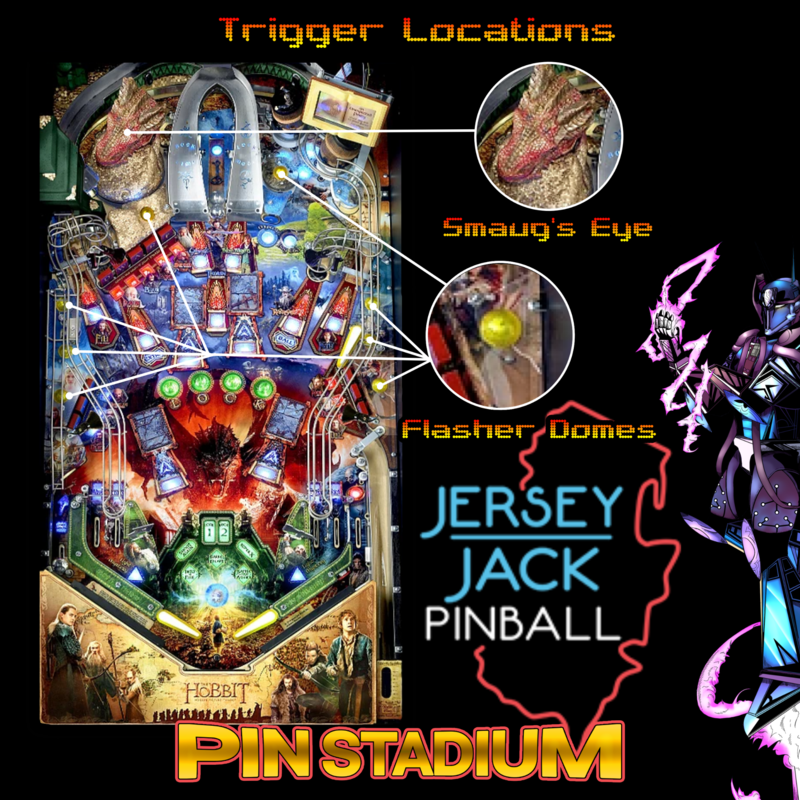 I am going to post this up for the Iron Maiden collectors that have been ordering the Pin Stadiums. 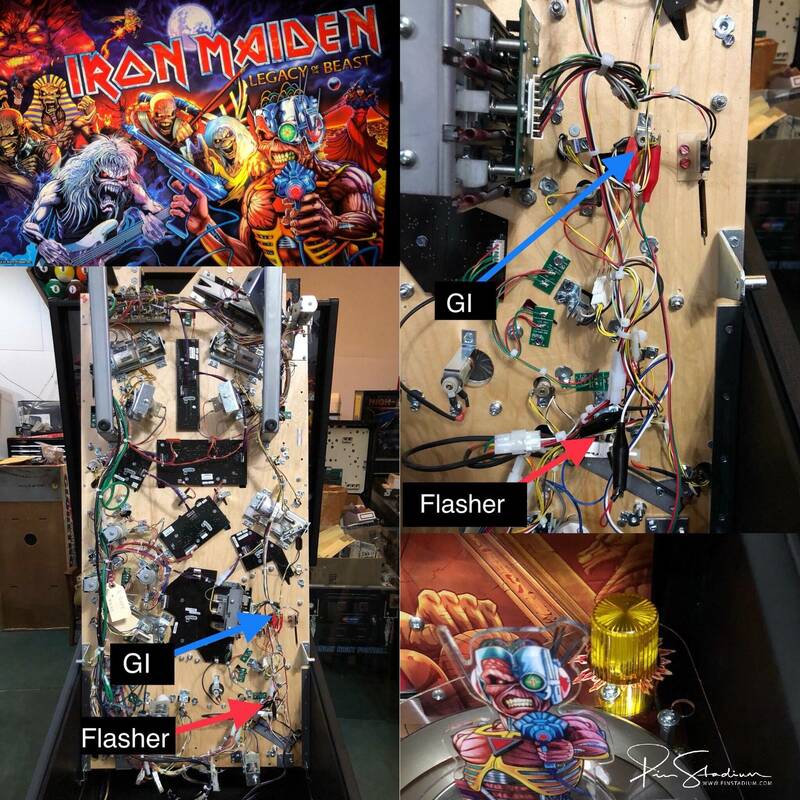 A lot are asking where to hookup the GI and the UV+Glow Flasher for Iron Maiden. This is where I put them on Trent’s Pro from Tilt Amusements. 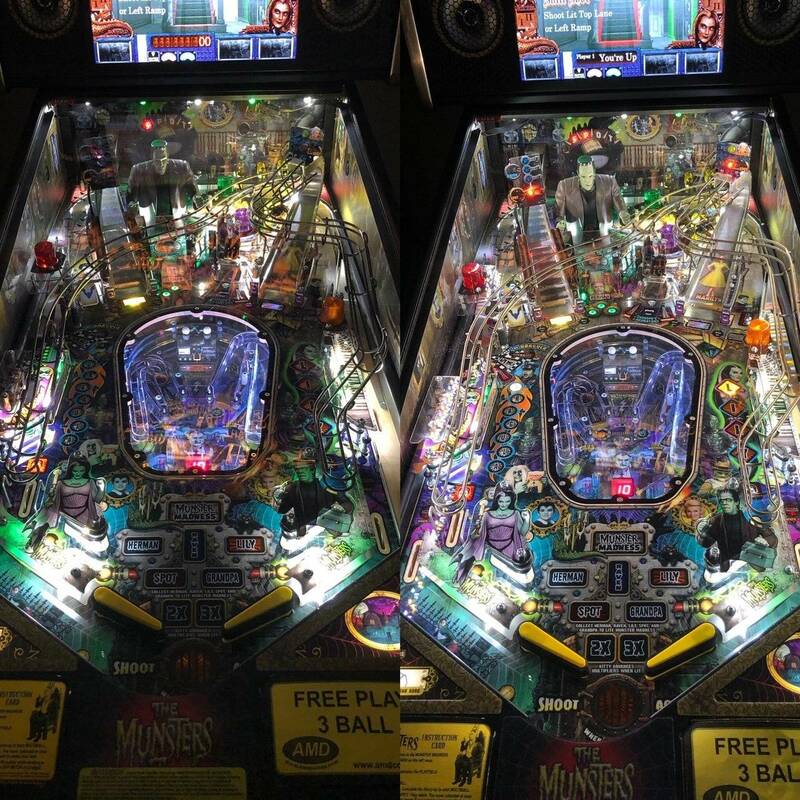 The bottom right picture of the playfield topside shows the flasher to trigger from. 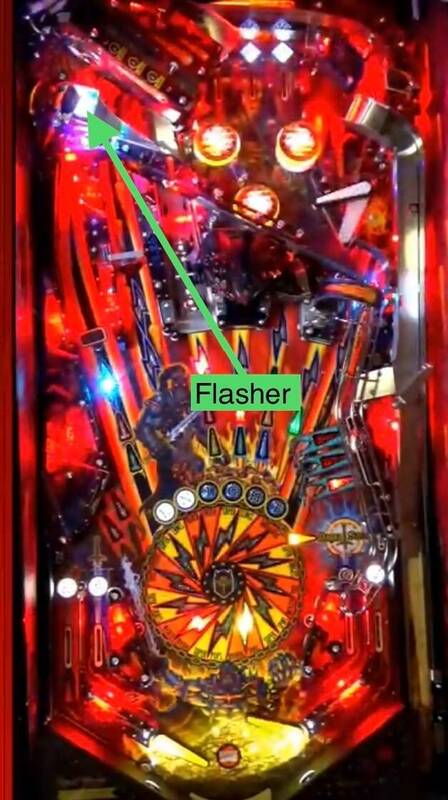 The flasher spot is a starting point but feel free to move it around. I will be posting up pictures and updates with the LE shortly once I get a chance to play around with the best locations on that one. Thank you again for all of your support for the product. Many many order shipped out this week for everyone not just Iron Maiden. 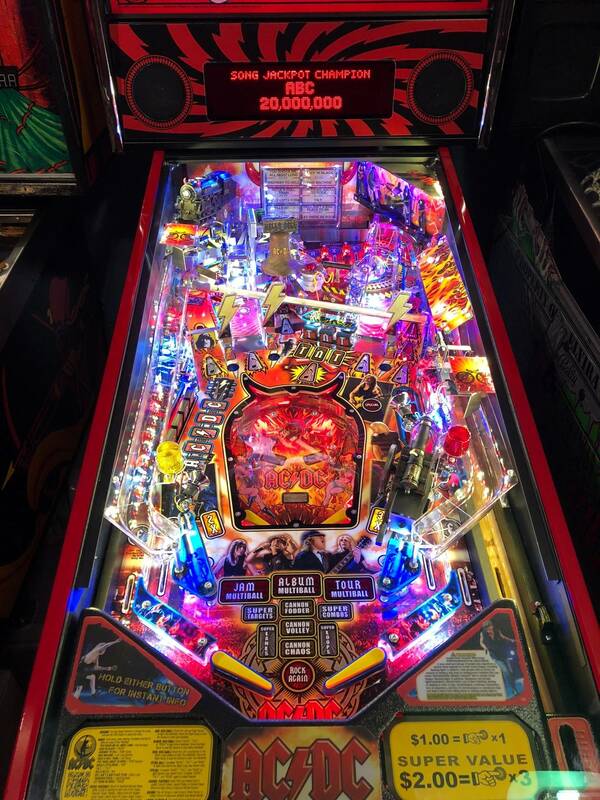 For those of you installing the Pin Stadiums on your Stern Lord of the Rings Lord of the Rings Lord of the Rings Limited Edition the UV+Glow is best triggered by Balrog. It creates a very eerie glow when he comes out. The artwork pulsates with the light and really comes alive. 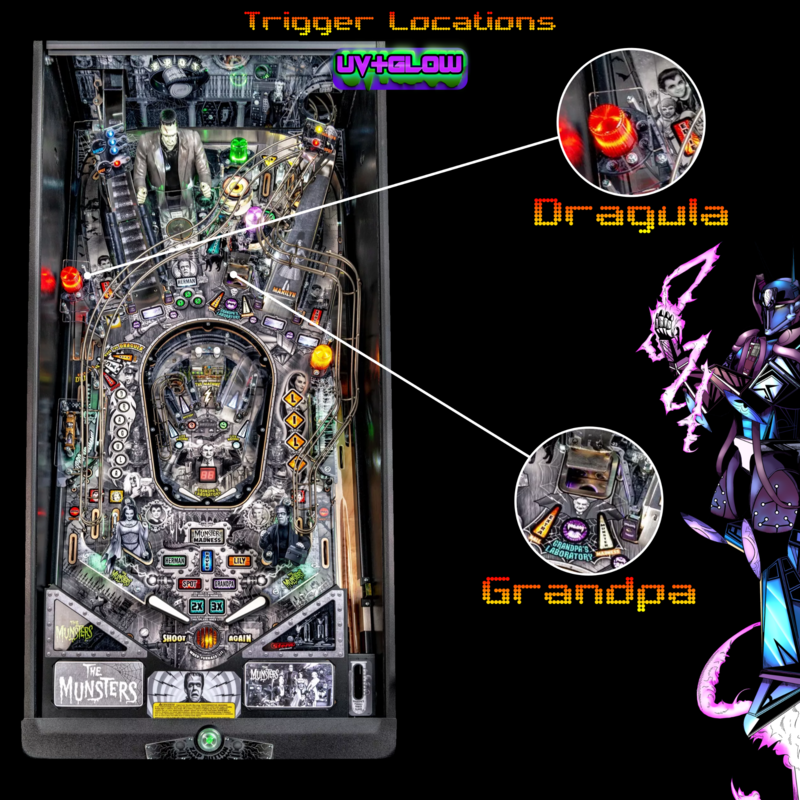 To locate the connection, simply trace the flasher bulb inside of Balrog down underneath the playfield to the white connector. Its the solid orange wire and the black wire you need clip to. I found that if you you are using the non-surgical method which most prefer, then use the wire taps on this one. on ac dc where do you hook up the flashers?? 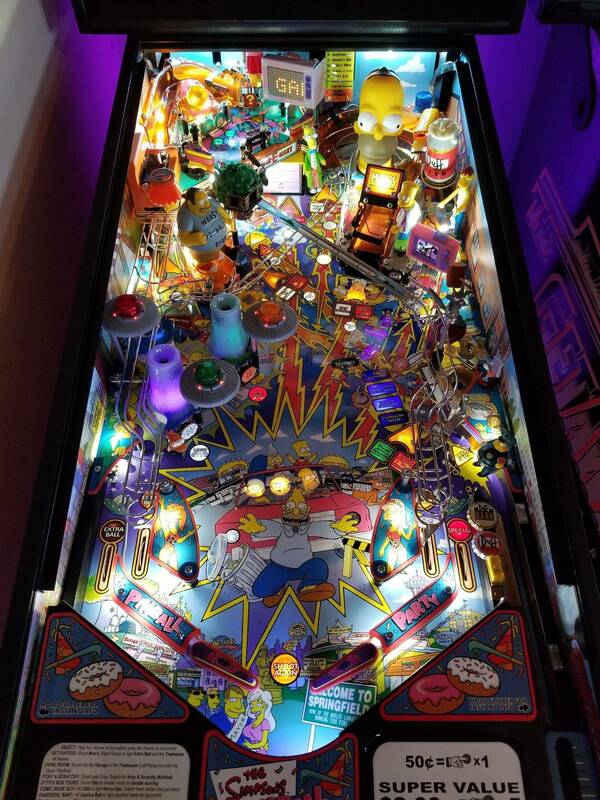 I have it hooked up to the middle lighting bolt flasher, however I am thinking of moving it to the Train Flasher or Bottom Arch Flasher, the pops may go off too often. 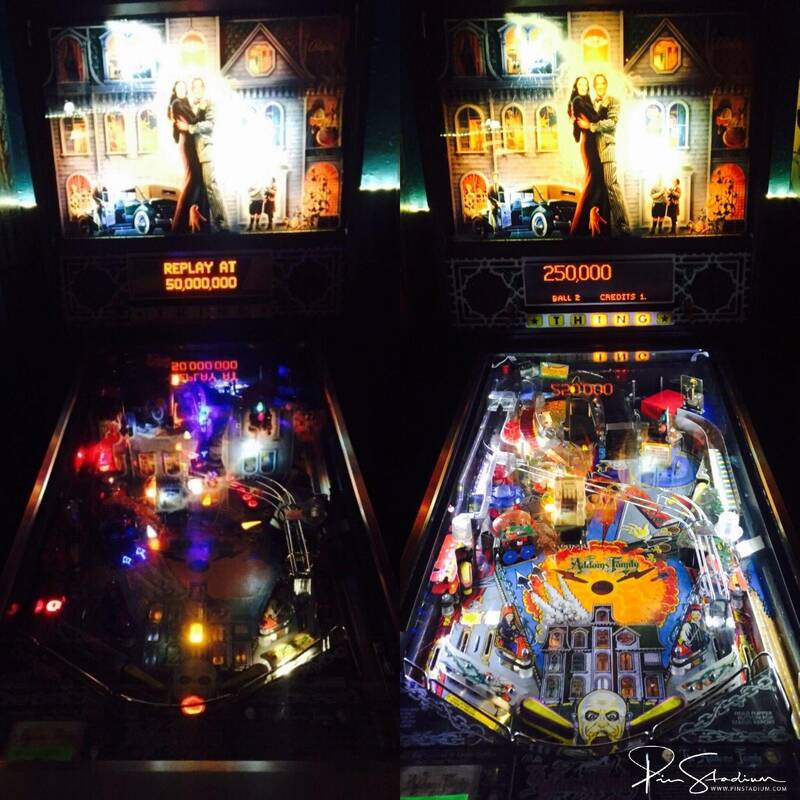 I like the lightning bolt effect but you have to hit the one you have it hooked up to prior to finishing all 3. Then the final one gets brighter. It’s pretty cool. However I would experiment with the others I mentioned as I feel like they may be even better. The bottom arch’s are down on the apron behind the flipper. I hope this helps and please post up where you think you like it best. 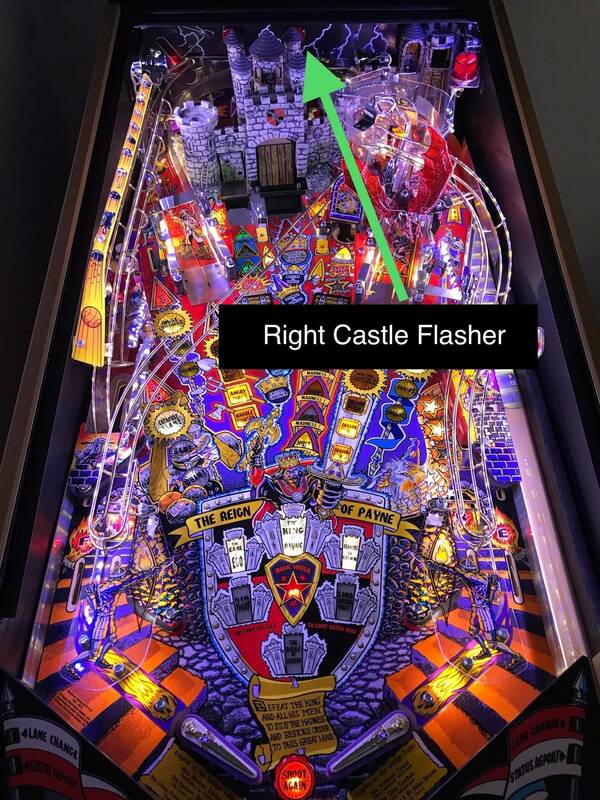 For Tron I have found the best location for the UV+Glow flasher trigger is the drop down 3 bank target for the Recognizer in front of the disc. Just a tip for anyone installing them on Tron. 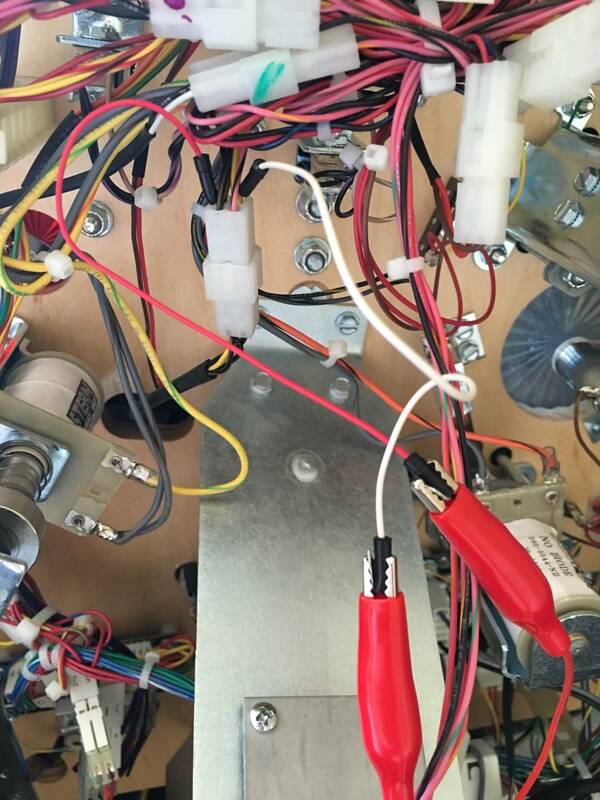 What the best way to connect the flasher on a TSPP? 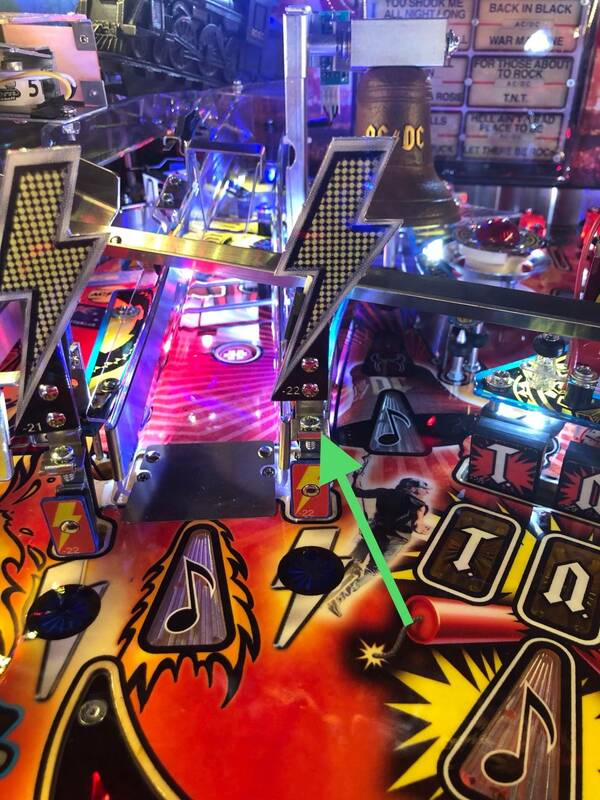 There's not exposed metal on the whitestar Stern flasher. 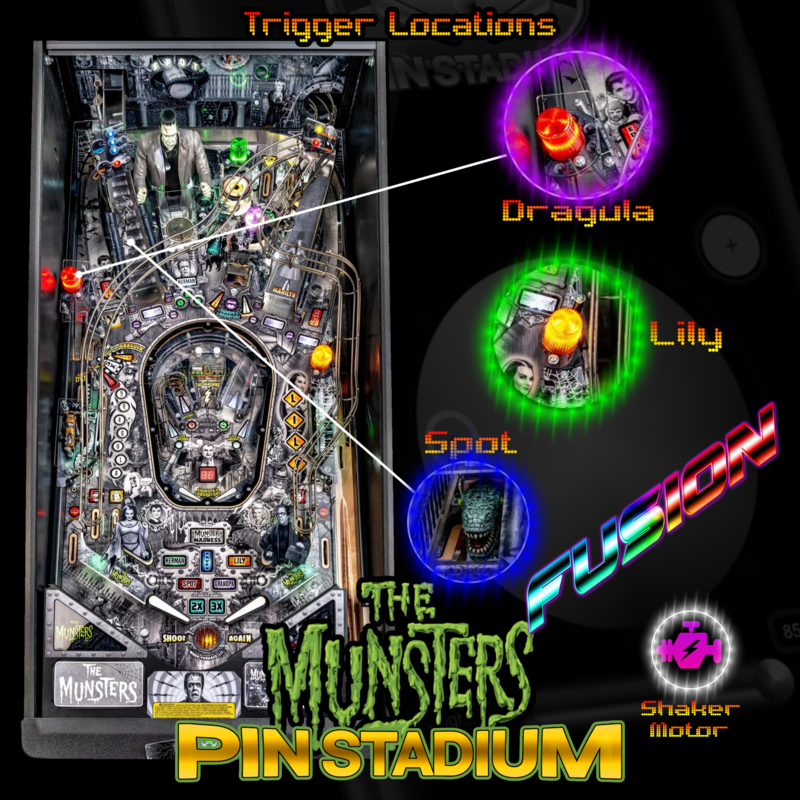 The best way to connector to them is to use the wiretaps included in the Pin Stadium accessory package. 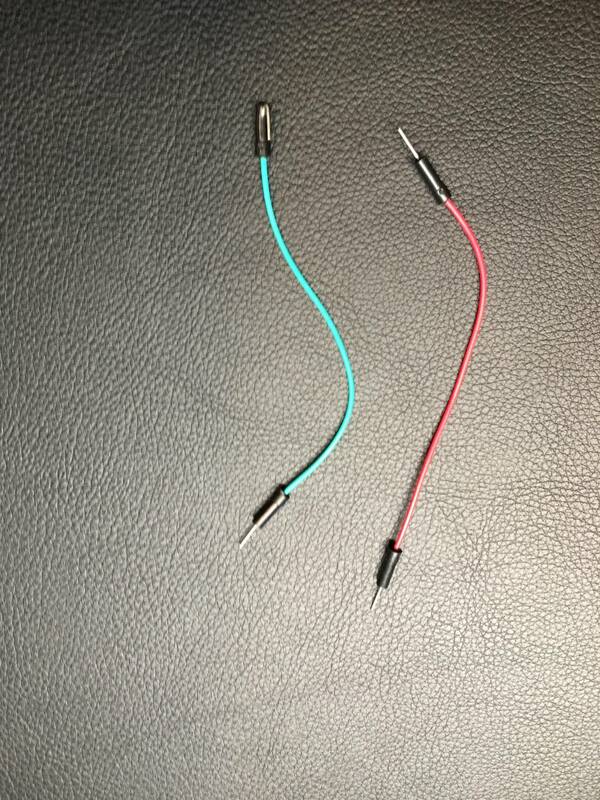 Trace the flasher down to the connector and then you can insert one end of the wire tap into the connector (from behind where the wire goes into the) then bend the other end of the wire tap over (this will make it thick enough for you to get a good grab onto it with the alligator clip). Would love to see pics when you are done and you impression of them posted here. Thanks!! Huge difference on Houidin! Scott this mod makes it to where you can't have a game without them! I love seeing it on Houdini! I’m glad you are appreciating the benefits on your machines. I believe you do have them on every one. Thanks for your support !! Recent question about Medieval Madness Remake (MMR) and best point to trigger the UV+Glow flasher. It is the right Castle flasher. Use the wire taps on this as it’s hard to clip onto the flasher since it sits on the backboard. There’s not much room there. This is the best place and puts on quite the show when the castle is destroyed. This seems to be a very good spot and I have had it there for over a year on my machine and the flasher location is superb. 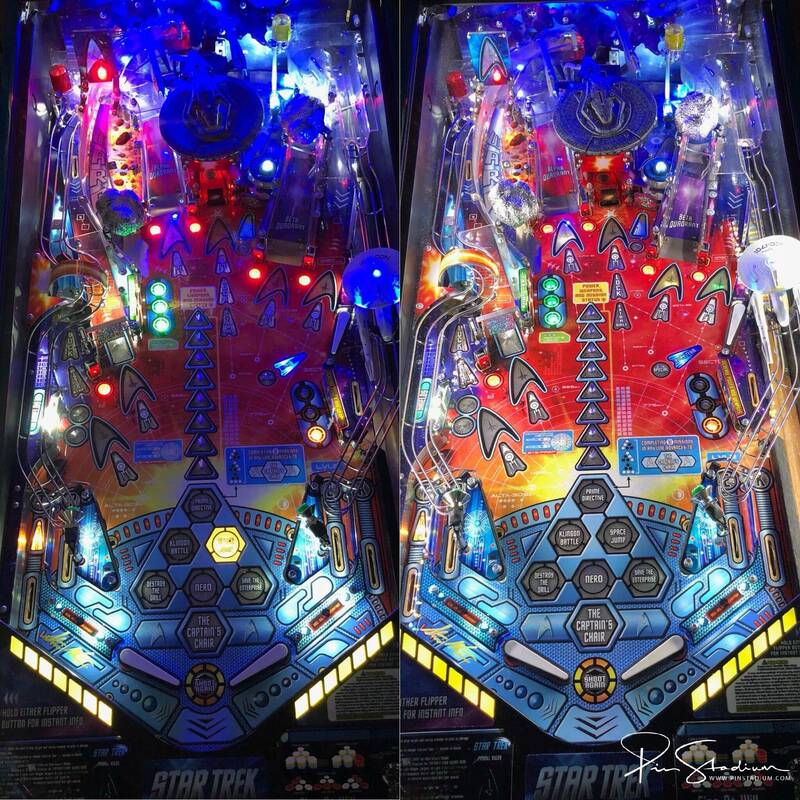 I just added pinstadium lights to my Attack from Mars Remake and I must say that this product is amazing. Pictures don’t do it justice. 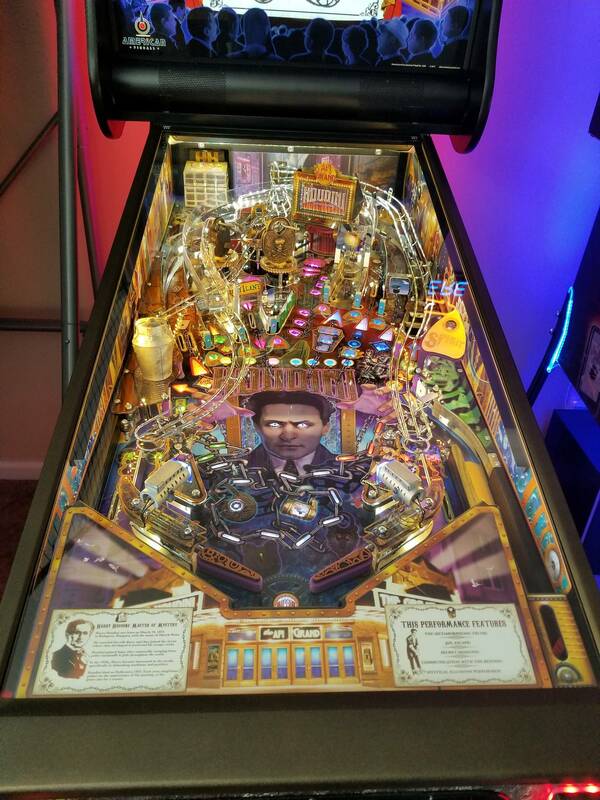 Had a few questions with the install and Scott got back to me within minutes on a Saturday. Incredible customer service. 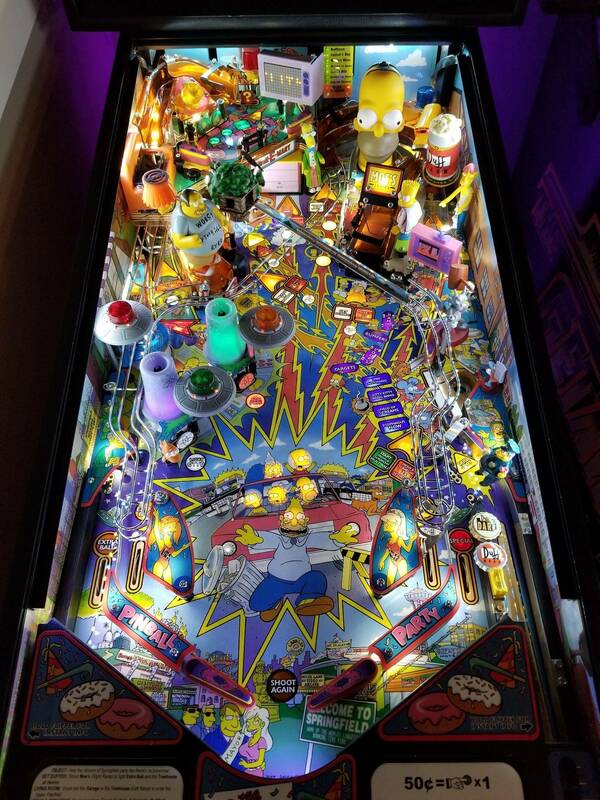 That awesome you have installed it in The Simpson Pinball Party (TSPP), and I really am thankful for you taking the time to post up your impression of them. Thank you for the kind words and I’m glad you are enjoying them in your TSPP! I used to have PDI glass on mine but needed it elsewhere. 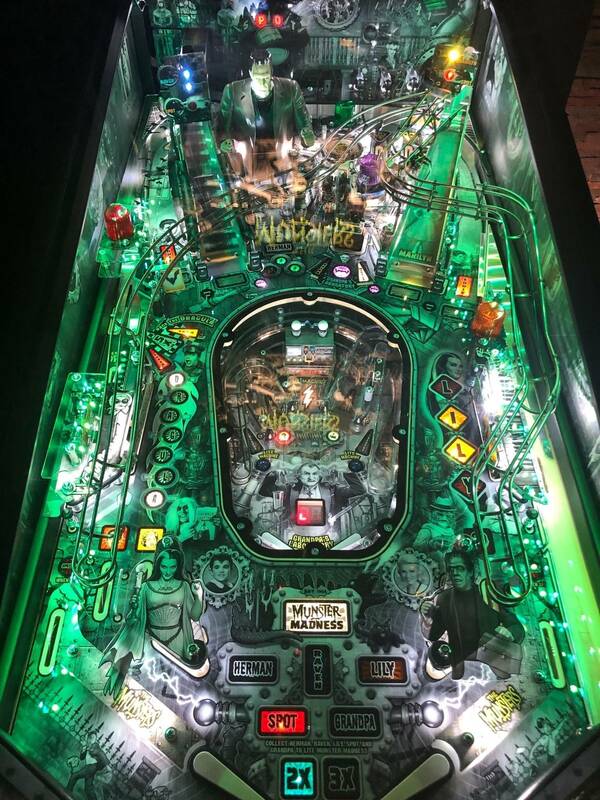 Between the glare and the dark playfield this solves both issues. That’s an excellent picture of them in complete darkness. 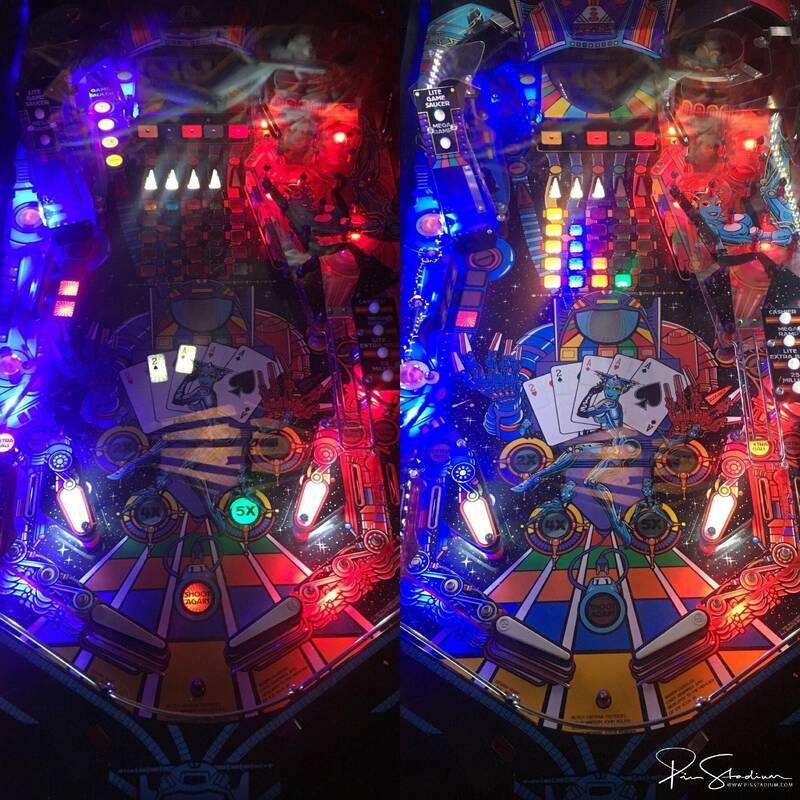 I love the glow of the colors on your playfield artwork. Great shot. 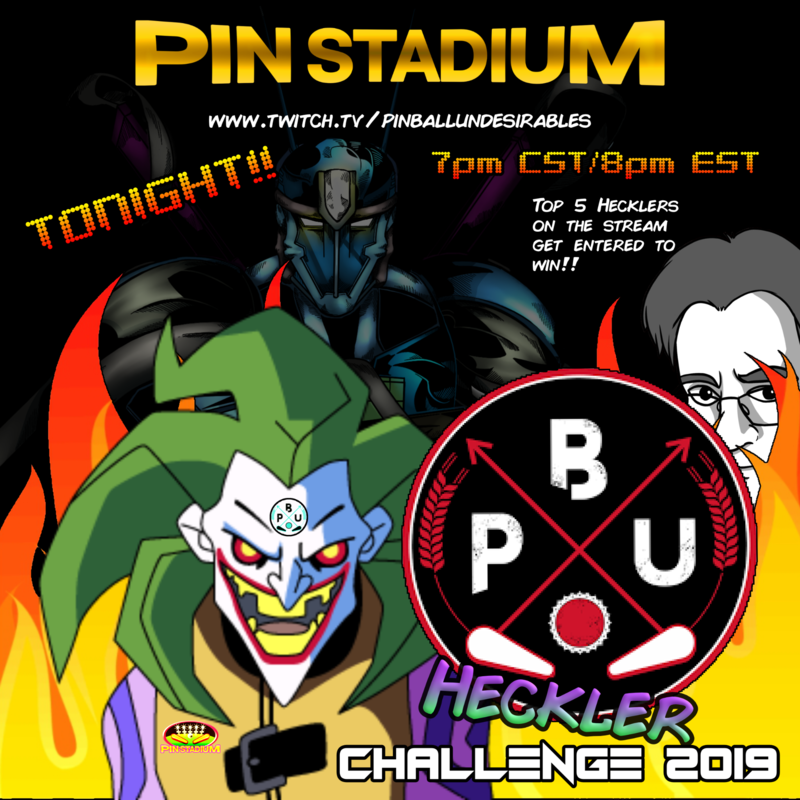 Wow a lot of TSPP’s this weekend getting the Pin Stadiums!! The glare is surely gone too. Also I notice the Phantom cable doing a great job (I’m changing the name of the Ghost cable to Phantom cable as it sounds more appropriate). 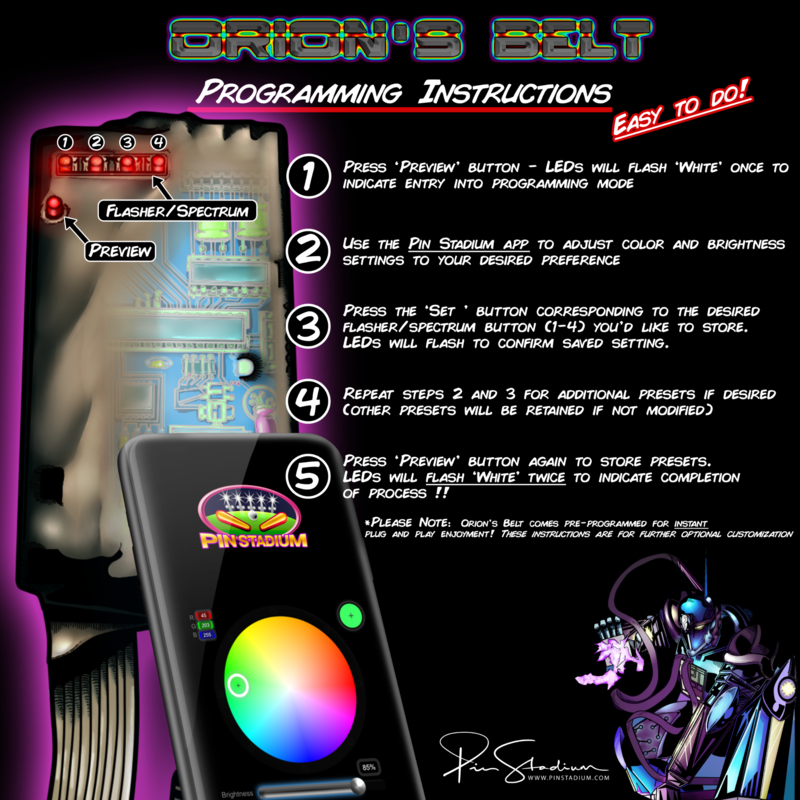 Scott getting ready to order your kit for my MMR LE and was wondering if there was any photos on how to wire the GI and UV+Glow flasher feature? Also I am debating getting invisiglass or some hd glass in the future and was wondering if this could cause a issue if I don't get the invisiglass option? I'll throw mine up there since JimB did. Off and on. The brightness is only at around 70%. 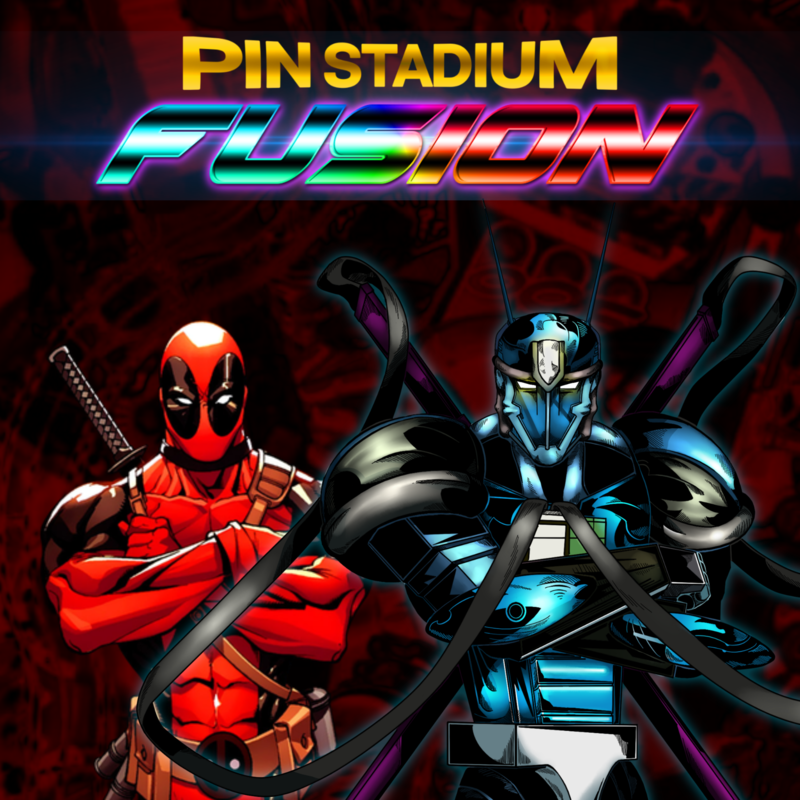 The Invisi-Shield option will make the Pin Stadiums 100% stealth so that they cannot be seen from the side. They are an additional awning that blocks the lights. I am redesigning them with the some major improvements prior to shipping so they are still in production and it will be a few more weeks on that option. I do recommend ordering them as they will be worth your while. They will ship separate when they are ready and are easy to install as they simply adhere to the existing Pin Stadium light bar. 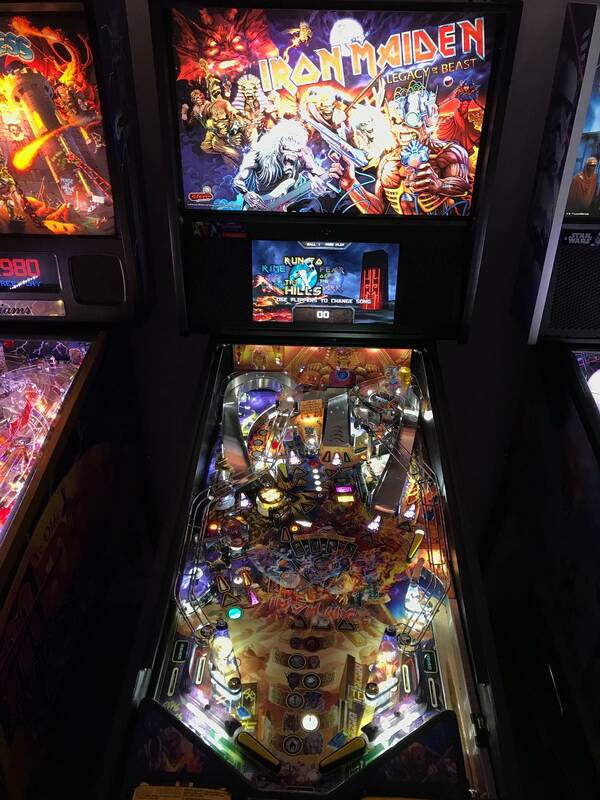 Also the Pin Stadiums will help reduce or remove the glare from your glass so you may want to check out the benefits of that and then you can decide if you also want to purchase glass too. Hey always glad to help, replied to your other recent PM too. Thanks!!! This is excellent that you posted these. Thanks, again I will surely use these for the Gallery on the website. Looks awesome. Really appreciate it!! Looks absolutely incredible and thank for posting this glorious beast. 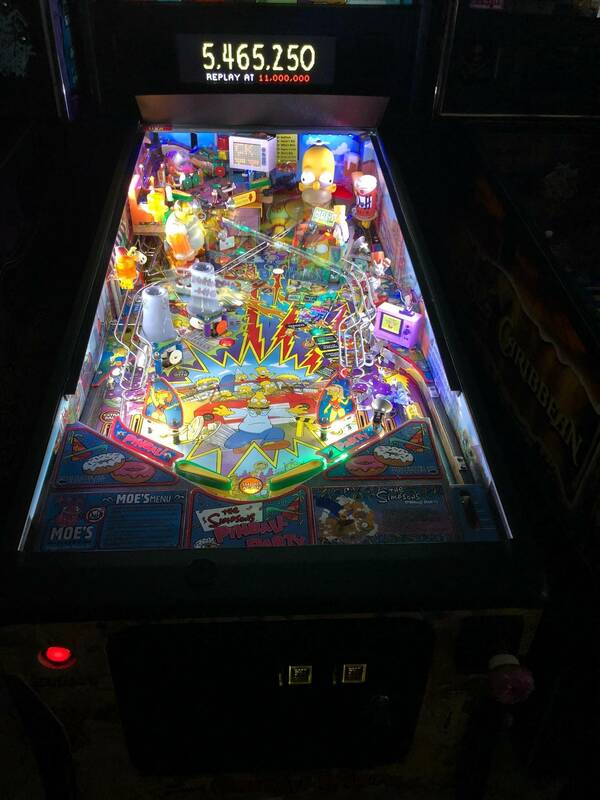 I cannot believe how much that playfield artwork displays it's beautiful vibrancy with the Pin Stadiums installed!! 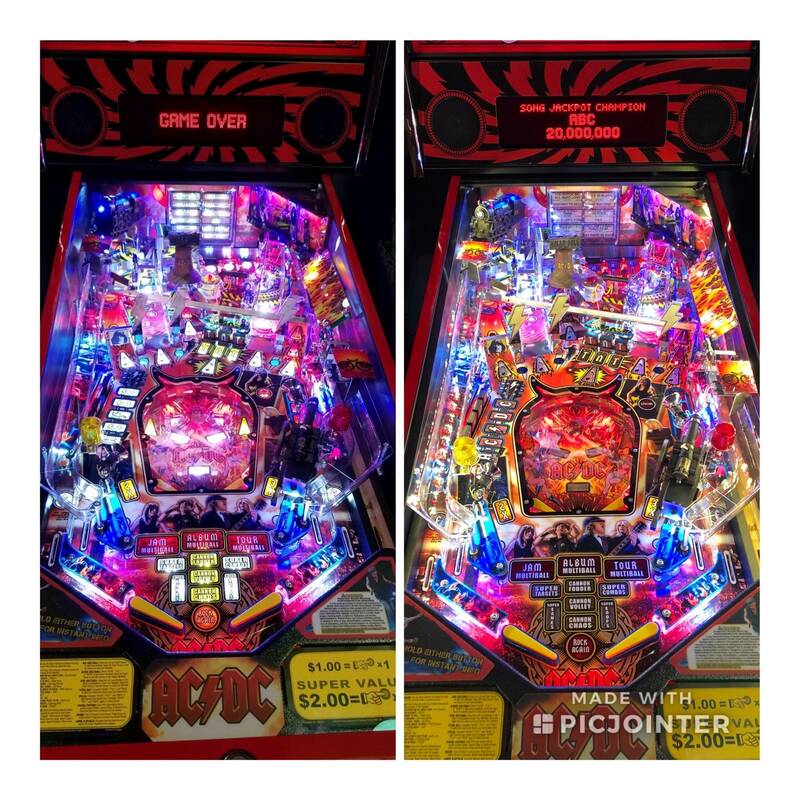 The Iron Maiden and KISS at arcade legacy bar edition in Cincinnati have Pinstadium lights too if people want to see them in person. Nice choice of games to put them on too!! Patiently waiting for the invis-shields and had a question about them. 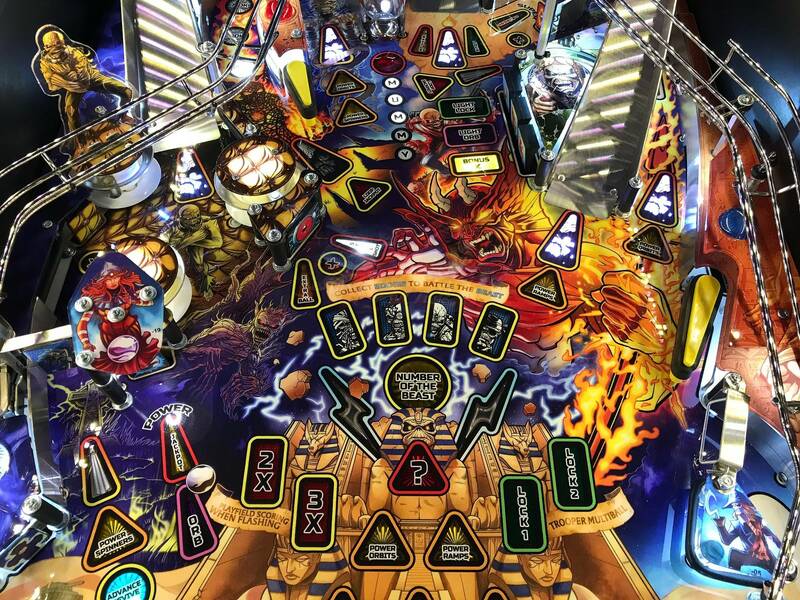 Do they further reduce the amount of playfield and sideart that is viewable? It would seem just extending an awning further out wouldn't be great. Are you using polarized filters to prevent the light from escaping? Can't wait to see them either way. I've grown use to seeing LED strips reflected in everything but it's going to be really nice to tighten that up! Thanks for being patient and I decided to do a complete re-design of the Invisi-Shields as the improvements I am making are even better than the original design and will perform superbly now. 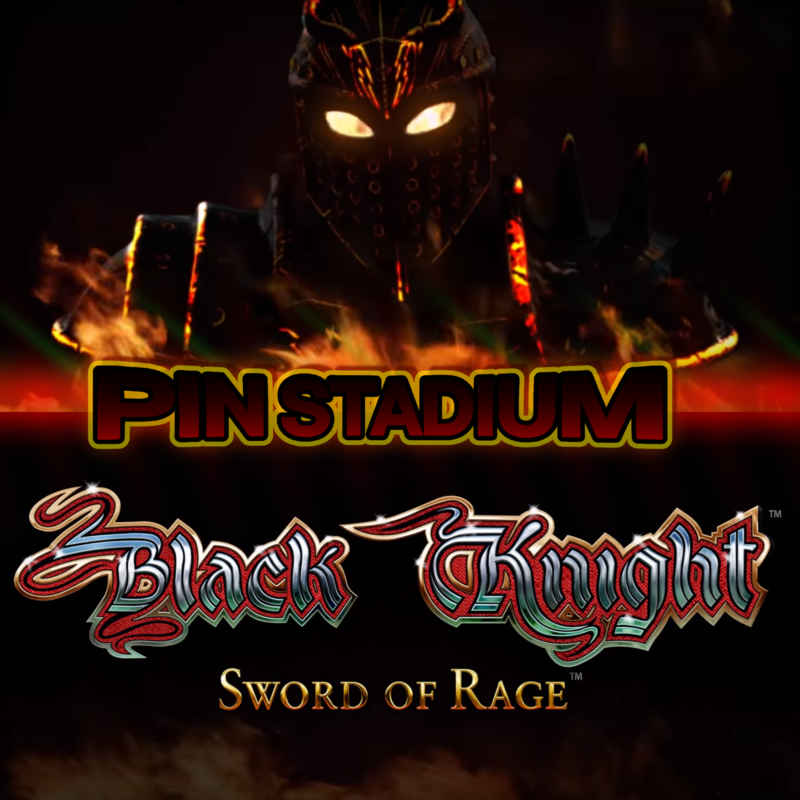 It made no sense to come out with a version 1 and then a version 2, I wanted nail it with precision for you guys the first time so we can move onto other cool things that are already in development to work with the existing Pin Stadiums. So the Invisi-Shields are in production development and will be several more weeks. However it will be well worth the wait and I have tracked every order for them so that they will ship if you ordered them prior. It will not decrease viewing of the sideart to anything noticeable for the sideart due to the way they are now being designed. 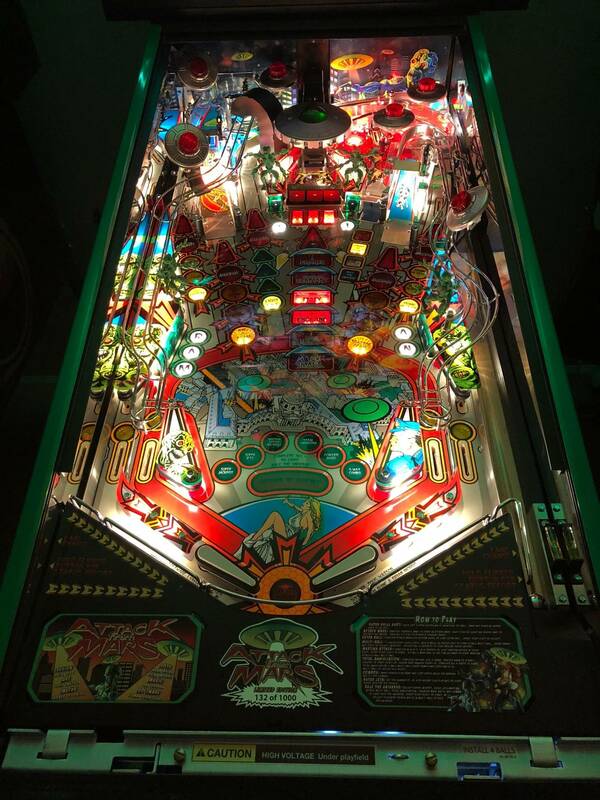 They are an additional awning the will prevent the light from being seen from the side of the pinball machine (currently without them you can't see the lights until you get about 2 pinballs away) and also it prevents the light from escaping onto the glass. Which will make for an even additional benefit as one of the things you may notice along the sides of the glass where the Pin Stadiums are (maybe 2-3 inches) you will tend to need to keep that glass clean in that region as it sometimes show dirt or dust that settles on the glass. 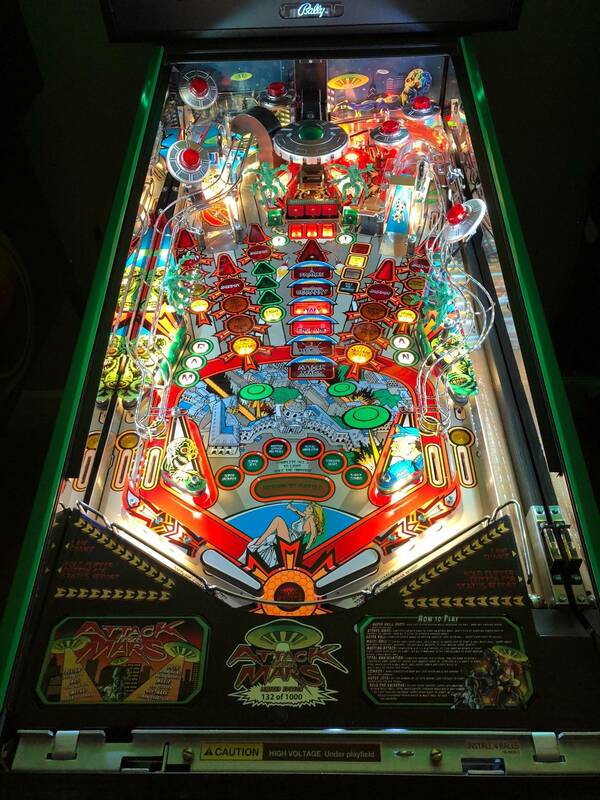 This is due to the light escaping out of the pinball glass, but now with the Invisi-Shields that will no longer be visible so that glass will disappear even more than it does already. 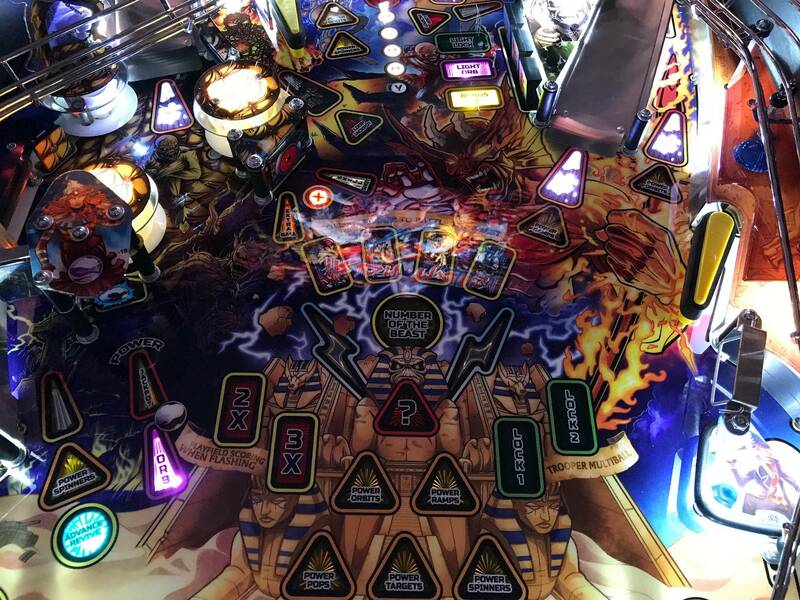 This option makes the Pin Stadiums 100% stealth form the side and turned out to be something I am glad that customers suggested. Now that I have them on my machines for testing I realize how great of an idea it was. Thank you all for the feedback and suggestions. This is what it is all about, making you guys happy!! hooked up to my ac dc luci. put the uv on the pop bumper flasher bulb. the pic below is before and after. hooked up to my ac dc luci. put the uv on the pop bumper bulb. 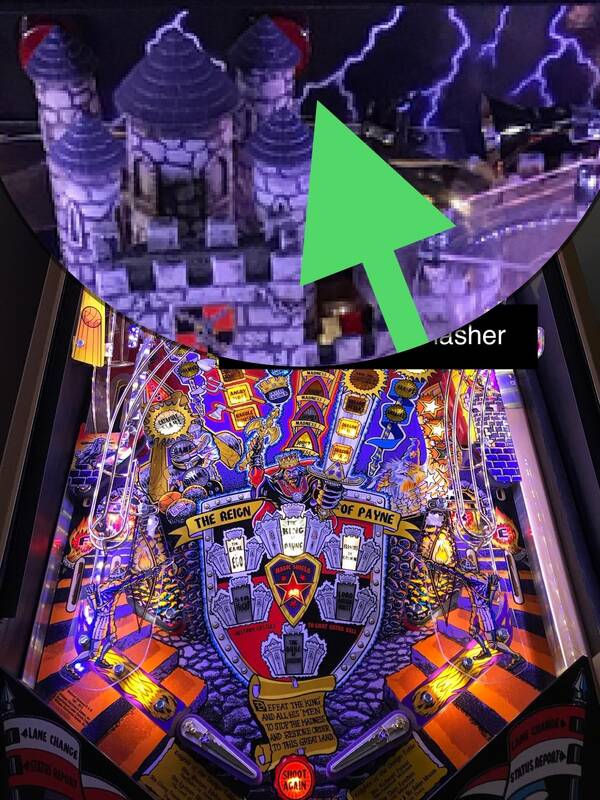 It looks really good and thanks for posting up where you decided to trigger the UV+Glow from. That’s very helpful for other ACDC owners. Much appreciated!! !